A funky 1950’s Atomic Coat Rack. This coat rack dates to the 1950’s or 60’s and would have been heavily influenced in style by the Brussels 1958 Expo. 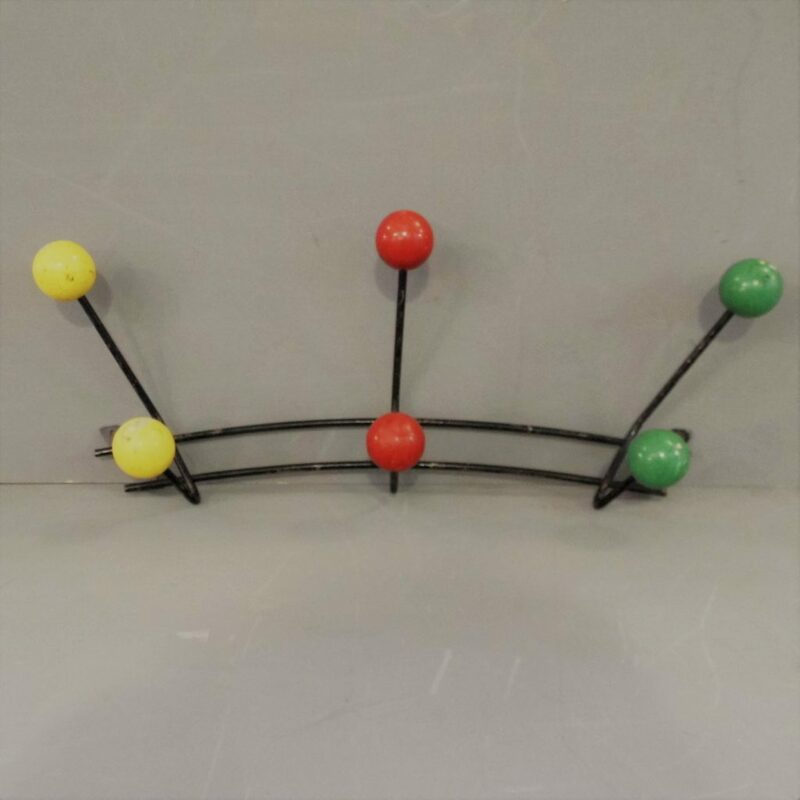 The three multi coloured ball hangers are made of wood and the arched frame made of metal .It is in original condition with wear to the paintwork commensurate with age and has not been resprayed.It Has two holes for screwing into a wall on either end.